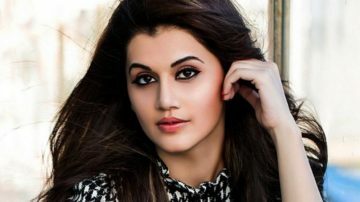 Taapsee Pannu (born 1 August 1987) is an Indian actress and model known for her work in South Indian cinema and Bollywood. Taapsee worked as a software professional and also pursued a career in modeling before becoming an actress. During her modelling career, she appeared in a number of commercials. Taapsee made her acting debut with the 2010 Telugu film Jhummandi Naadam, directed by Raghavendra Rao. Since then, she has appeared in a number of critically acclaimed films such as Aadukalam, Vastadu Naa Raju and Mr. Perfect. Her Tamil film Aadukalam won six National Film Awards at the 58th National Film Awards. She has also worked in a Malayalam film and has been signed on for three Telugu films and several Hindi films. She was awarded Most Enthusiastic Performer-Female Award at the 2014 Edison Awards for her performance in the Tamil film Arrambam (2013). In 2015, she starred in the critically and commercially successful film Baby. She went on to star in the drama Pink (2016), the war film The Ghazi Attack (2017), and the comedy Judwaa 2 (2017).